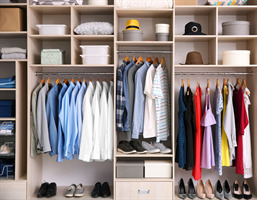 (NC) Many of us are swept up by the current phenomenon of organizing and shedding any belongings that don’t spark joy. But beyond updating your home, your decluttering binge can also help you get organized in other areas of your life. For example, if you’re in the market for tenant or home insurance, it’s important to remember that one of the key things that providers look for is a complete inventory of your belongings. So as you sort through things, take a moment to document them so that they remain protected in case of a fire or any other insured disasters. You’re worth more than you think. Many people underestimate the value of their belongings, sometimes thinking they don’t need to insure them at all. To understand the true value of your possessions, start by taking inventory of everything you own. Their costs will add up quickly. Know what you need covered. Not every insurance policy is the same, and getting the wrong policy could leave you exposed. For example, a policy that covers flooding or water damage or insures your bicycle may be a priority. Insurance providers like Belairdirect make it very easy to understand what’s covered and what’s not and will help you navigate your needs. Let technology be your friend. Use your mobile phone to capture and store photos and videos of your belongings. For higher-end products, look up the retail price and keep a record of it. Back up your list. Whether using pen and paper or a digital notes tool, make sure you keep multiple copies of this list both in and out of the house. If you are storing it digitally, always remember to back it up on the cloud. Learn more about home or tenant insurance at belairdirect.com.